SAN DIEGO, CA -- An unsuspecting pizza delivery guy thinks he's going out for a regular delivery but, San Diego photographer, Tim King has other plans. 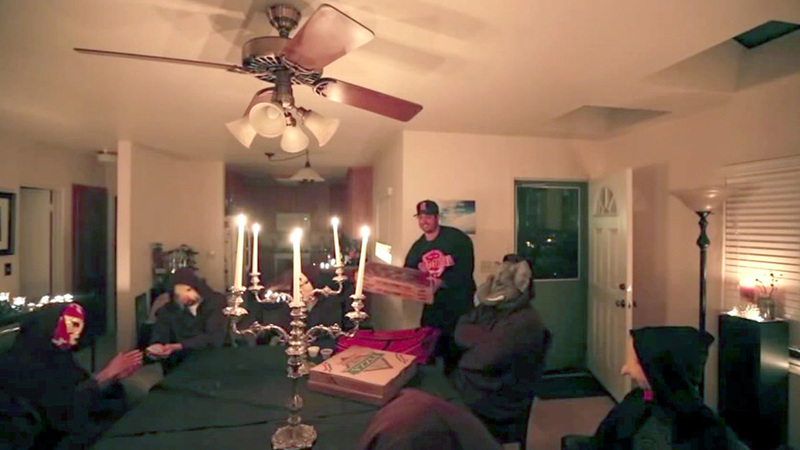 He decided to throw himself a secret society themed birthday party and invite 8 of friends. From there they ordered a pizza, cued up some Gregorian monk music on the MP3 player, and let the fun begin. The pizza guy's reaction to the bazaar setting is priceless.